From dramatically reduced costs to access orbit to countless new nano satellite constellations, the space industry is in the middle of a giant shake-up. Never before have startups been able to drive a 100x or even 1,000x margin of improvement in this industry. 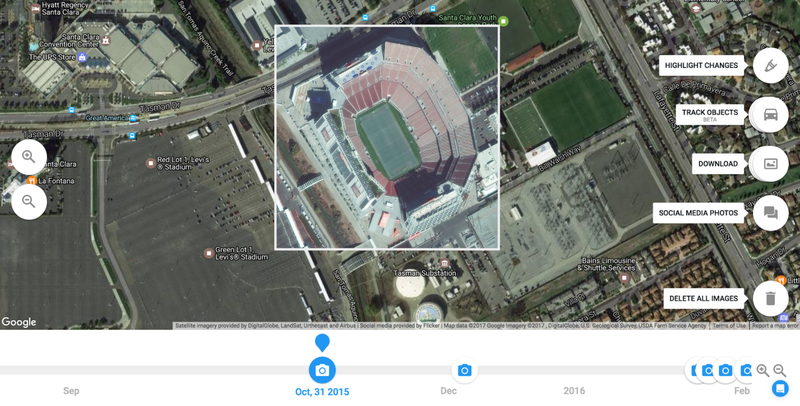 This paradigm shift has also opened up a significant opportunity for the first time to truly map the physical world and to apply advanced applications and analytics to satellite imagery at scale. Advanced deep-learning frameworks with proprietary algorithms can now tackle highly specialized data sets to open up brand new markets and insights about the world. Spaceknow combines a phenomenal team background in satellite imagery, computer vision, deep learning and data science to do just that. The company allows non-experts in any vertical to index, monitor and manage physical infrastructure in real-time, anywhere in the world, by connecting its deep learning engine to numerous commercially available Earth Observatory (EO) systems and applying the company’s trained algorithms to scan, understand and narrate any event at each square inch of the Earth’s surface. Co-founded by Pavel Machalek, an astrophysicist and former NASA researcher who was head of remote sensing at Climate Corporation, Spaceknow is harmonizing imagery, vector and ground-based data to create industrial indices and real-time automatic monitoring with APIs for specific verticals accessed via a web interface. The team are working closely with a number of customers in the financial, re-insurance, construction and defense sectors. An estimated 500 commercial EO systems will come online during the next 48 months producing a massively unexploited archive of daily data of the entire planet. As satellites and high resolution imagery become a commodity, and as Spaceknow indexes more and more data from these satellites, we believe their deep learning engine will be able to provide an entirely new level of insight and lead to the creation of new kinds of applications to understand the world around us. If they can continue to produce highly specific, unbiased knowledge of socio-economic, environmental and defense trends that paint a fuller picture of the performance of one company, an entire industry, or even governments and economies, they will have the opportunity to become a major platform for understanding the world based on unbiased data. We’re excited to be backing Pavel, Jerry and the entire Spaceknow team on their mission. Here’s a Financial Times article with a few more details.